Facebook’s no longer promoting Vanity Metrics… And neither should you. Facebook’s just recently hit a pretty massive milestone. As per their recent Second Quarter 2017 Results Conference Call, the social media giant has just hit 2 billion monthly users, and 1.3 billion of these users visit daily. Marketers of all sizes are increasingly following our best practices – like optimizing their ads to drive real-world outcomes rather than focusing on proxy metrics, such as Page likes and video views. Facebook is moving away from, by their own admission, ‘Proxy’ metrics, or social stats. As of 15 September 2017, they are even removing certain types of posts eligible for promotion/advertising. And if Facebook is concentrating on real-world Facebook metrics, it would be ignorant of brands and marketers not to adapt too. Below are 5 real-world goals that we use often. 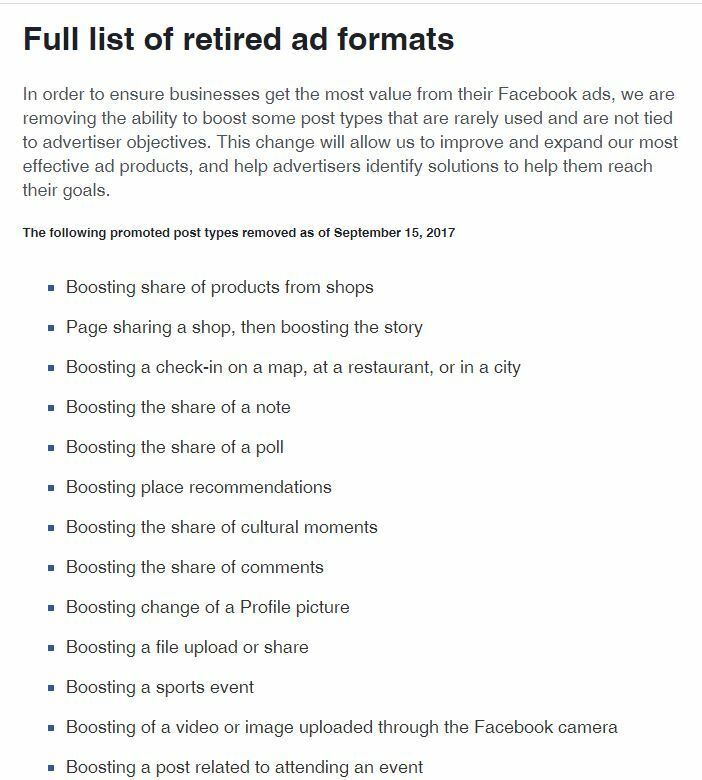 These are not only super-actionable but are directly supported through the Facebook Advertising objectives and analytics. The 5 Goals below are designed to have real-world outcomes for your business, and should be incorporated into your monthly planning, and reporting. Some of these metrics are not Facebook Metrics alone, but a blend of reporting from useful sources and platforms, such as Google Analytics, Conversion Tracking, and Link tracking. Together, they tell the story of performance. If you’re looking to build your brand name, and increase your share of voice, you can bet Facebook has an ad, and a metric, for that. This goal focuses on getting your brand and its message out to new and existing customers. Engagement is more than a like or a comment. We prefer to look at Engagement as the point where users take an intended action, such as visit a blog post or view a product on your Ecommerce store. Action Rate as %: The percentage of your users who see your content, and then engage. Profile Views: How many people are actually visiting your Facebook Page? Lead generation is one of the most promising and business focused aspects of Facebook. This process involves acquiring new and potential customers to your business and warming the client up to your offerings and brand through a sales funnel. Social Media should be one of the primary channels that drive traffic to your website. Facebook should be actively pushing people to your website or online store, and posts should be measured to understand their effectiveness. Google Analytics | Channels: Include your social media efforts within your Google Analytics, and understand the role that Facebook and Social Media Marketing has with your website. Revenue Generation works best with ecommerce and online stores. This goal focuses on sales, and boosting purchases, through a short sales process. Goals: Utilising Google Analytics’ Goals so that every time an intended action is taken, it is included in your Website analytics. Rand Value: Set monetary values to specific pages on your website. Every time a Goal is performed, Google Analytics will denote the worth to that purchase. In this way, you can understand the value of the revenue that Facebook is bringing in. Of course, metrics alone cannot represent the full, integrated scope that is Digital Marketing. It is vital that you set your Objectives and Goals first, and pick the metrics that support these efforts. This is the aspect of Performance Marketing that is often the most challenging; turning all the posts and ideas, effort and time; into easy to understand data that proves its worth to the business. No matter how you use Facebook metrics… it only matters that you use them.